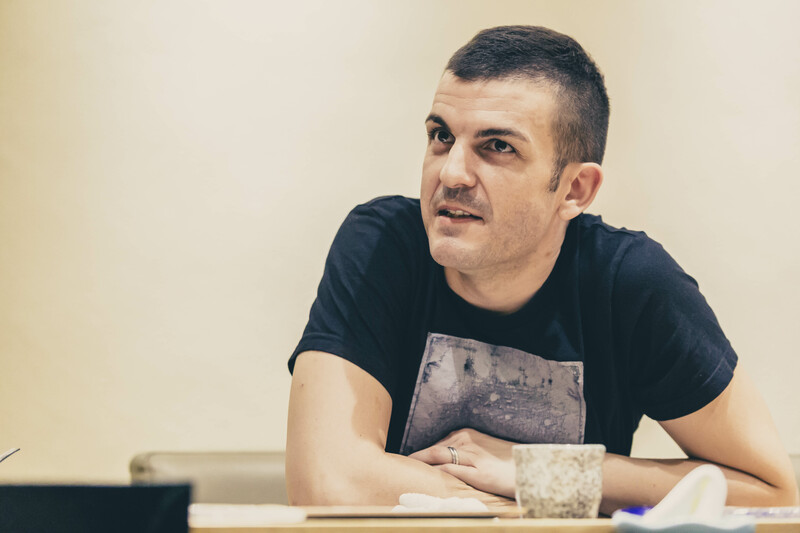 Pepe Moncayo was only 10 minutes into his new job at El Racó de Can Fabes, a prestigious Spanish restaurant in Sant Celoni, Spain, when its executive chef angrily confronted him. Moncayo’s transgression? Using the wrong bowl to cover prawns. “The chef wanted me to use a bowl with a hole, so it wouldn’t collect the water released from the prawns — which he said had an unpleasant aftertaste. How was I supposed to know?” he said, laughing as he recounted the 2004 encounter. That chef, Ivan Sola, was feared by the rest of the kitchen team, thanks to his no-nonsense demeanour. Even the slightest error was enough to infuriate him. After weeks of berating Moncayo for his mistakes, Sola dropped the ultimate bombshell: He wanted to move into Moncayo’s home for six months, while waiting to get his driver’s license. It sounds like a recipe for disaster – or the plot of a comedy flick — but Moncayo, who’s now the chef-owner of Bam restaurant, actually enjoyed living with Sola. The two even became close friends. “Ivan had a big impact on who I am as a chef today,” said Moncayo, as we tucked into edomae-style sushi at Sushi Mitsuya, his favourite Japanese restaurant. Over decadent offerings such as horse mackerel rolls stuffed with ginger, and silky otoro slices dipped in an umami-packed seaweed sauce, the 40-year-old told us about his experiences coping with hot-tempered chefs, working at Barcelona’s top eateries, and running his own establishment. Born and bred in Barcelona, Spain, Moncayo is the second of three children. His mother passed away when he was 15, which left everyone at home scrambling to adjust. “We had to go into survival mode,” he said, adding that he was appointed the de facto chef because nobody knew how to cook. His father had to work, while his elder brother was away serving the military. His younger sister was only seven at the time. Then a clueless teenager with scant knowledge of cooking, he blundered around the kitchen on most days, doling out “horrible” pasta and rice dishes. Being forced to learn to cook, however, birthed a newfound appreciation of food as something that could nourish and satisfy. This interest led him to enrol in a two-year cooking course at CETT (Campus de Turisme, Hoteleria i Gastronomia), a reputed culinary school in Barcelona. Studying gastronomy wasn’t as enjoyable as he expected, unfortunately. He disliked the academic parts of the curriculum, which entailed learning business management, English and French. After he failed his first year, the school assigned him to a restaurant within the nearby Hotel Alimara. Now known as Summum Restaurant, the eatery specialised in contemporary Catalan cuisine with simple but delicious creations like deep fried sardines. It was where all CETT graduates were posted to after completing their course, so Moncayo saw this as a headstart rather than a punishment. He eventually dropped out of school to take on a full-time position there. 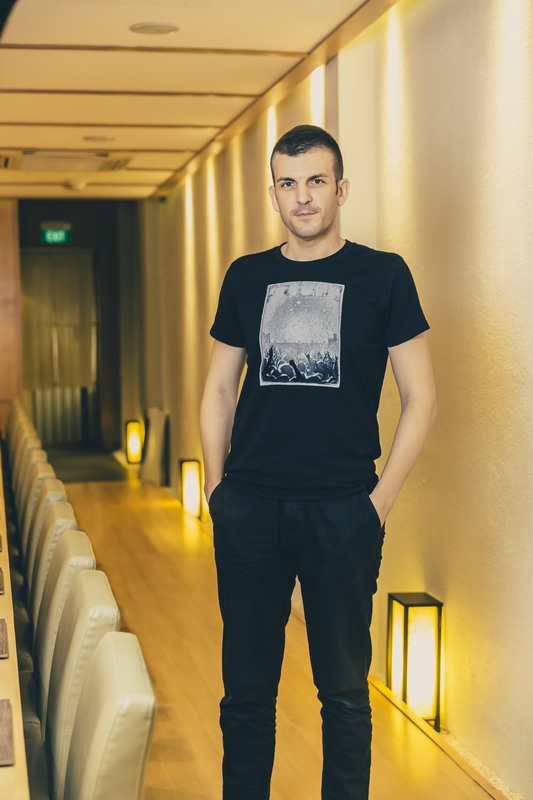 Over the next few years, Moncayo cooked his way through some of Barcelona’s most famed establishments such as Via Veneto, a renowned Michelin-starred fine dining spot that focused on Catalan food inflected with French flavours. Founded more than 50 years ago, the restaurant is an institution in Barcelona, frequented by businessmen sealing deals over soufflé potatoes. Decor-wise, it hasn’t changed much, with its old-school furnishings of leather seats, orange tablecloths, and massive oval mirrors. Inside the kitchen away from those cushy, carpeted surrounds, however, was a much less tranquil picture. Plates were smashed. Knives were brandished. Chefs were kicked if they worked too slowly. These were all courtesy of the bad-tempered head chef. After a year, Moncayo left to cook at a less violent setting in a private members’ club. He was later recommended to work at Can Fabes, one of Spain’s most respected eateries. The restaurant maintained its three Michelin stars from 1994 to 2012, and was where its owner and culinary superstar Santi Santamaria became the first Catalan chef to receive the coveted accolade. Specialising in Catalan cuisine, Can Fabes was popular for signature dishes like red prawn ravioli, and pork with caviar. It boasted a large kitchen team of 30, more than two-thirds of which were unpaid staff. “They were working for free, just for the sake of learning,” explained Moncayo, adding that Santi provided housing and a monthly allowance. At Can Fabes, he was constantly enthralled by Santamaria’s dedication to using locally sourced ingredients. A typical day saw Santamaria taking his chefs shopping at the markets in search of the finest produce. Sometimes, suppliers would turn up at his door with freshly picked vegetables. In the kitchen, Sola was stern and intimidating. When he moved into Moncayo’s home, however, Moncayo got to see a softer side to him. “He’d make me cry in the day. But after service, we’d go home together and he’d share his cookbooks with me,” said Moncayo, adding that Sola was caring, generous and sometimes threw parties for the staff. Moncayo wasn’t as close to Santamaria, who travelled frequently. But they remained friends throughout Moncayo’s subsequent stints in other restaurants. He returned to Santamaria’s fold in 2010 to be second-in-command at the newly opened Santi restaurant at Singapore’s Marina Bay Sands. Santi specialised in contemporary Catalan food and was helmed by Chef de Cuisine Daniel Chavez. Sadly, Santamaria passed away from a heart attack five months later. His restaurant remained open for a year before shuttering. Following a false start at Spanish restaurant Ola Cocina Del Mar — which he co-founded and left after a year — Moncayo was ready to return to Spain. Then came an encounter with two regular customers, Ben Chng and Constance Song, who had followed him throughout his Santi and Ola Cocina Del Mar days. They were opening a new tapas and sake bar together, and wanted Moncayo onboard as the executive chef. They also promised he’d have free reign in creating the menu. Intrigued, Moncayo decided to give it a go. “For the first time in my career, I could plan my own menu without restrictions — to find my own voice and style,” he said. 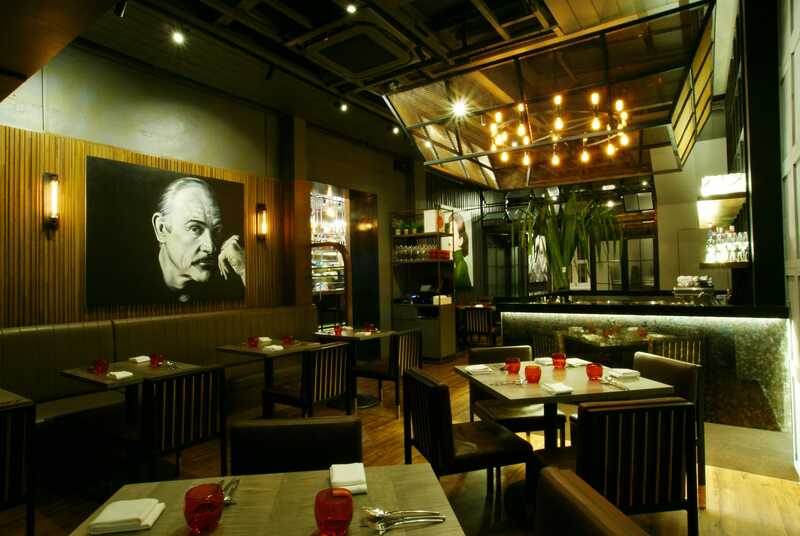 Bam opened in December 2013, in a cosy shophouse on Tras Street. Spanish and Japanese influences were present in its à la carte dishes like deep fried squid, and capellini with sakura ebi, but the eatery was more focused on spotlighting seasonal produce from around the world. Most of the seafood came from Japan, while fruit, vegetables and meat were imported from other countries such as France, Italy and Australia. 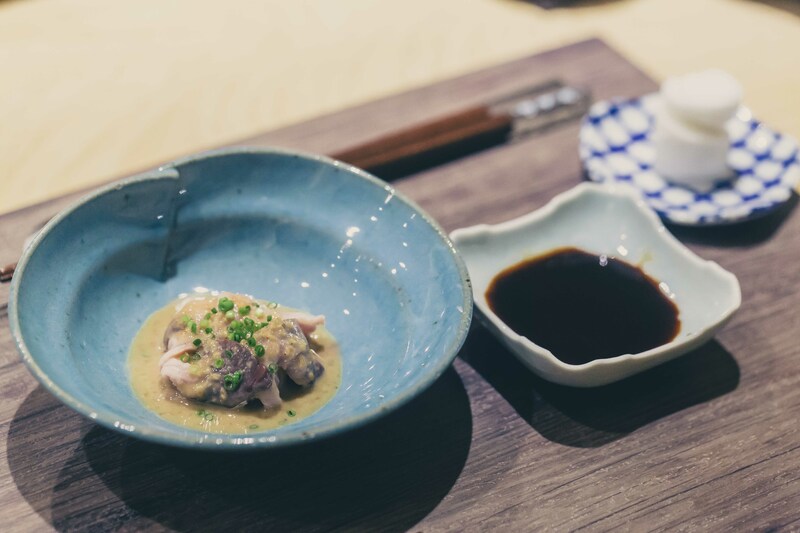 His cuisine may not have a specific label, but Moncayo has dubbed Bam’s concept as “modern Shudo” — where the food is designed to be paired with sake. This was inspired by a visit to Katsuyama brewery in Sendai, Japan, months before the restaurant launched. Founded in 1688, the centuries-old brewery is famed for its junmai-shu, which is sake brewed with rice and water from a nearby river for a cleaner, umami-rich flavour. Moncayo was so impressed with its libations that he decided to introduce Katsuyama’s sakes in Bam. “Sake has high umami and low acidity, and doesn’t wash out the flavour of food. It works well with almost anything,” he said, adding that Bam has since amassed an extensive range of some 80 labels from various breweries across Japan. Business at Bam has been brisk. 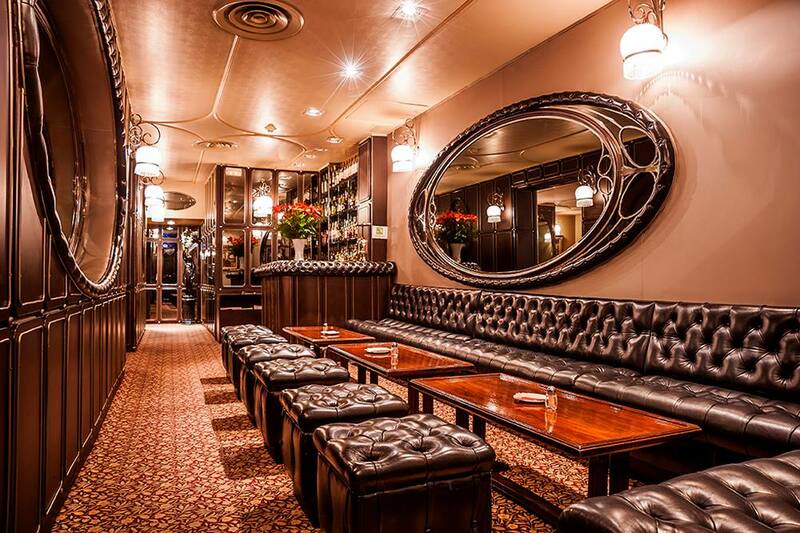 It was often full during its early days, which prompted its owners to turn it into a full-fledged restaurant in 2016. They also expanded it into a bigger space spanning its two neighbouring shop units. Last year, Moncayo changed Bam’s originally à la carte menu to an omakase one as a “challenge” to himself. “My goal since day one has been to get better, to create a cuisine I can call my own,” he said. This move has sparked bolder and more complex creations in Bam’s arsenal. 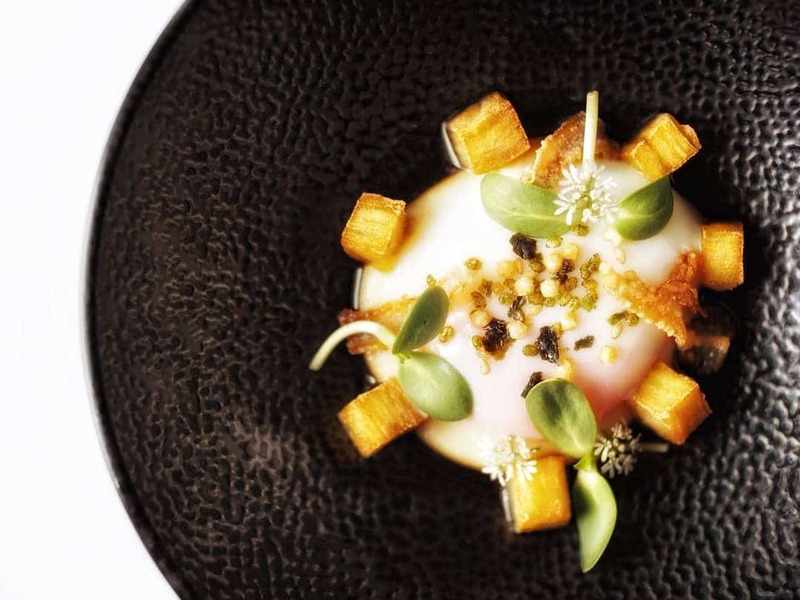 Recent examples include Toretama egg bedecked with potato purée, furikake and chicken cartilage; and Hokkaido kibinago (a type of herring) fried in tempura batter and paired with chorizo and an onsen egg. Moncayo has been away from Spain for nearly eight years now, but he doesn’t miss its food much. 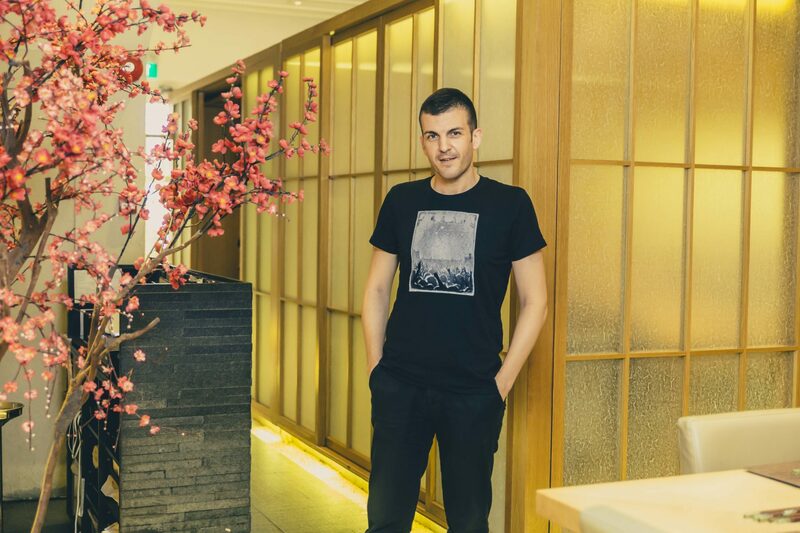 He prefers Japanese fare instead, and often visits Aoki at Shaw Centre, Shiraishi at The Ritz-Carlton, Millenia Singapore, Nagomi at Cuppage Plaza, and Sushi Mitsuya. He has eaten at Sushi Mitsuya over 10 times, as it’s just a short walk away from his restaurant. 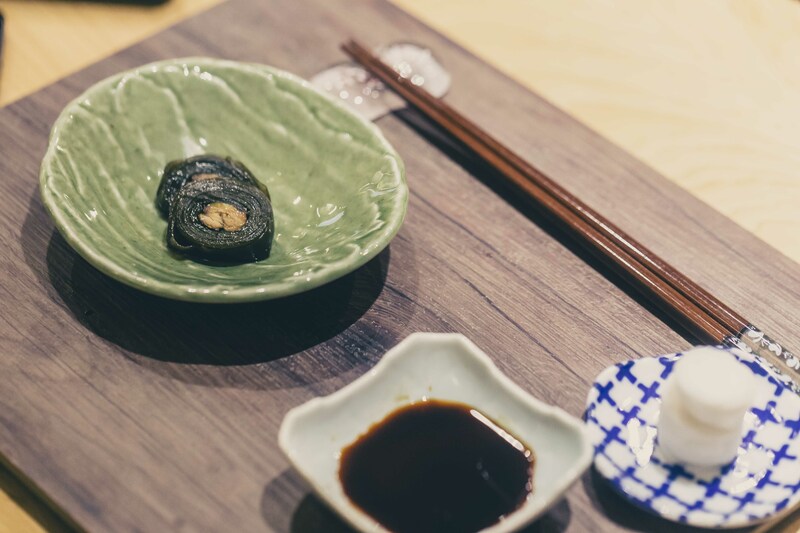 It specialises in edomae sushi, presented omakase style. Dining at Sushi Mitsuya is an educational experience. Rather than briefly introducing each dish that arrives, its chef-owner Harada Ryosuke often dives into detailed backstories of the origins, ingredients and inspirations behind the food. 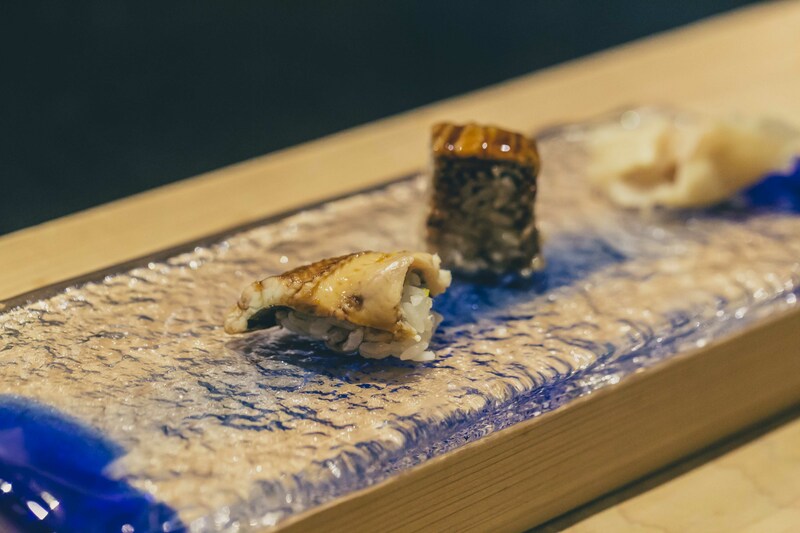 Upon presenting us with a platter of anago (saltwater eel) sushi prepared in two different ways, he launched into an explanation about the differences between Tokyo-style nigiri sushi and Osaka-style oshizushi. The former is more commonly found here, and comprises a slice of fish draped over a mound of rice; while the latter is pressed into a neat block so the fish’s edges run flush with the rice beneath. “I have a special love for Japanese cuisine. The ingredients, simplicity, and ceremony always inspire me,” said Moncayo, as he dug into herring coiled with kelp (a traditional Japanese New Year dish, according to Harada-san), and matsukawa (also known as righteye flounder) with grated radish, ponzu and chilli. The baptisms of fire Moncayo endured during the early years of his career – be it being chided by Ivan Sola at Can Fabes, or dodging broken plates at Via Veneto — have moulded him to be the fearless, determined chef he is today. Those past experiences have even inculcated in him certain habits, such as a fixation with tidiness. “If oil spills on the floor in the middle of the service, I will stop everything and clean it up. I’ll go crazy if people keep stepping on it,” he said.